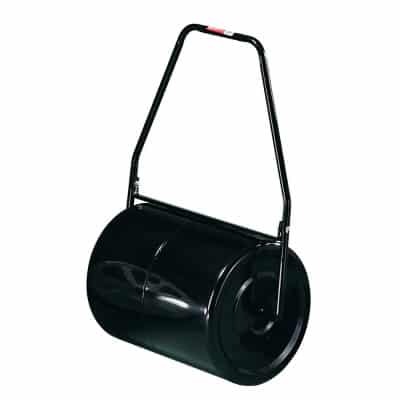 This item is used to compress newly planted sod into the soil and give it a nice, flat surface. When filled with water, it weighs 250 pounds. SKU: YAC01. Categories: Tools & Equipment, Yard & Garden. Tag: lawn roller. This tiller has spike tines (as opposed to scoop tines) which are great for tilling most garden sized areas with harder, clay soil. This tiller should be loaded and unloaded by two strong people (140 pounds). All of our gas driven equipment comes to you full of gas, does not need to be refilled before return, and has an additional fuel surcharge added to the bill of $3.50. The user of this item must come in to receive full use and safety instructions. This item is only available during our open hours. No overnight rentals on this item due to insurance liability. This machine will remove sod in 18″ wide strips up to 2.5″ deep, is self-propelled, and comes with a trailer for transportation. A hitch with a 2″ ball is required to pick this machine up. All of our gas driven equipment comes to you full of gas, does not need to be refilled before return, and has an additional fuel surcharge added to the bill of $3.50. The user of this item must come in to receive full use and safety instructions. This item is only available during our open hours. No overnight rentals on this item due to insurance liability.